M. Night Shyamalan, the director who brought you the world's greatest thrillers (The Sixth Sense, Signs, Unbreakable) on DVD, now creates his most thought-provoking triumph yet... breaking international records and dazzling audiences around the globe! 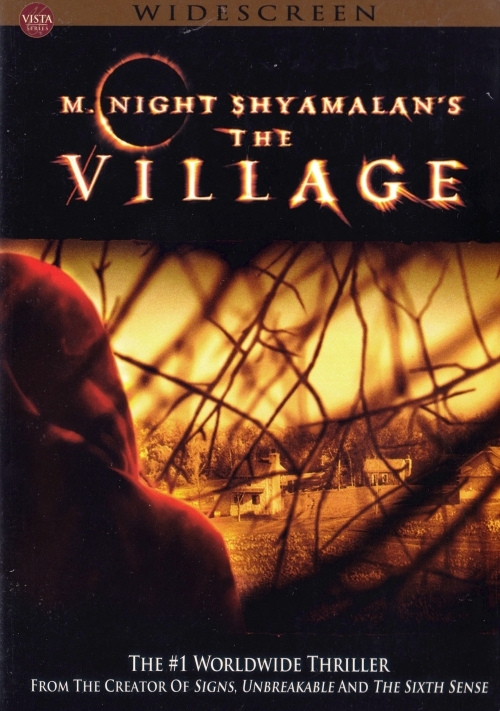 The Village is a smart, edge-of-your-seat chiller crawling with terrifying surprises and frightening twists and turns. An isolated, tight-knit community lives in mortal fear of an oppressive evil inhabiting the forbidden forest just beyond their tiny village. So frightening that no one ventures into the woods... until one villager dares to face the unknown. With unforgettable performances from Joaquin Phoenix, Sigourney Weaver, William Hurt, Adrien Brody, and newcomer Bryce Dallas Howard, this powerful motion picture is one of Hollywood's best psychological thrillers and ranks with the best of Hitchcock!